My guest today, Debbie Bertie once suffered too and took it upon herself to find some great strategies to deal with the nasty symptoms of menopause. Specifically, we discuss the thyroid and how it plays into menopause and what you can do about it. 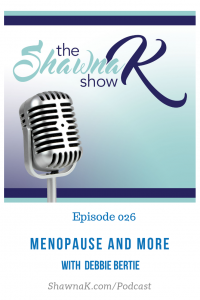 Tune in for her best tips on menopause, diet and exercise for those of us 40 plus. She has a message of HOPE that you’ll love. Debbie is a single mother of two and she’s learned first-hand the difficulties women go through battling menopause all while trying to maintain a healthy lifestyle and lose weight. She used to struggle with her health everyday. She was always feeling fatigued, sluggish, clouded, and generally unwell. She would have to push herself to get through the day, and to get everything done around the house. She had some knowledge of nutrition, as she worked as a nutritional consultant for 4 years, but the basic knowledge she had wasn’t helping. 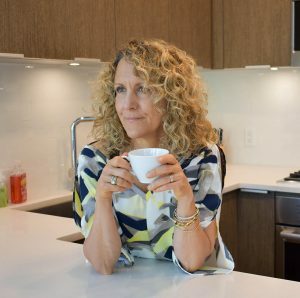 Her journey to wellness started after she went through a very difficult period in her life, which lead to months and months of researching, taking courses, reading anything she could get her hands on to find natural ways to get rid of menopausal symptoms, heal her body and shed unwanted body fat. Today, at 58 years old, she’s healthier than EVER before and her body weight and energy levels resemble her youthful years.